Dentistry, Are You Getting Healthier or Just Getting Your Teeth Fixed? One of the questions I ask some of my new patients is “would you like me to help you get healthier or just fix your teeth? ” This question is not just a case of semantics but critical to establishing the health and wellness goals of the individual and helping to define a process to get there. Dentistry, like many other professions is undergoing rapid change –some good and some…well not so much. The good news is that some dentists are now focusing more on the overall health and wellness of their patients by providing care that is individualized, appropriate and outcome focused. This approach is about health and involves a personalized process that invests significant time to identify what the person (patient) wants for themselves, where they are now, and what is available to them to achieve the outcome they desire. This takes a commitment of all involved to forming a collaborative relationship and a commitment by the dentist and their team to understand treatment planning and options at an uncommon level of expertise. In the process of helping you get healthier, your dentist will most likely also fix your teeth and probably in a thoughtful and long lasting manner however the opposite is not necessarily true because of what we believe are some of the less desirable trends in the profession. So at your visits if you’re just getting a brief encounter vs a relational dialogue and all you hear about is what’s broken and how to “fix” it, you may not be getting all you want. A good example of this was a story we previously wrote about a new patient who came in asking us to repair her front tooth that had chipped and been unsuccessfully repaired by her previous dentist. She was disappointed thinking the previous dentist “wasn’t using the right materials”. 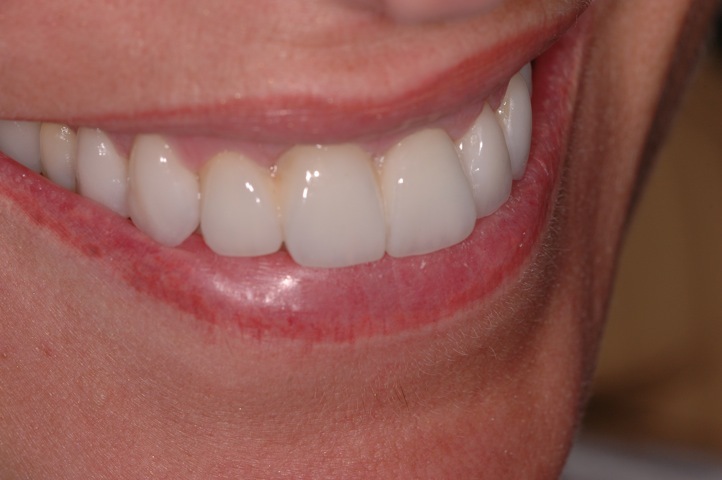 I assured her that most dentists use the same materials and certainly most could repair this front tooth. The real question was why did it wear and chip in the first place? I asked permission to work with her to discover the cause(s) of the problem and clarify what her desired outcome would be? In the process it became clear she desired to have better function and a more long term outcome for her care. It also became clear that it wasn’t the material at all that caused the tooth to keep breaking but the trauma from her bite that was initiated by a significant sleep apnea problem. Had we just fixed the tooth it would eventually break again but more importantly we wouldn’t have helped her discover a life threatening condition. We did eventually repair the damaged tooth but in the process helped her breath better at night and literally change her life. That’s helping someone get healthier, stay healthier and focusing on wellness. At this time In the New Year, as we reassess our lives and goals you may want to resolve get healthier and find a support system to help you get there.